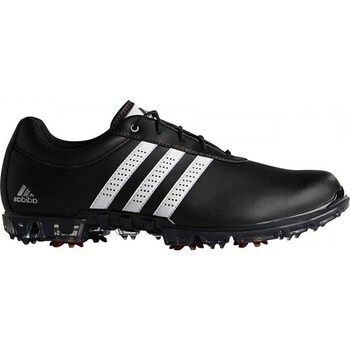 The Adipure Flex golf shoes offer a great combination of comfort, protection and performance. They have a lightweight synthetic upper with Climaproof technology. Tour performance is specifically designed to be wider in the forefoot for improved fit, feel and overall comfort. The Puremotion TPU outsole features a 7-spike configuration and thintech low-profile technology for improved traction, flexibility and stability.